Safeco is a solid option for car insurance, and its coverage options may be especially appealing to ride-share drivers, but it scores lower than many competitors when it comes to claims satisfaction. Safeco, which is backed by parent company Liberty Mutual, offers the security that comes with a big carrier and the standard coverage options you can also expect from many of its competitors. Safeco also boasts some less standard coverage options that might make it appealing to certain drivers, like coverage for ride-share drivers, additional coverage to protect pets injured in an accident, and coverage for many vehicle customizations you may have added to either the exterior or interior of your car. That said, Safeco’s claim satisfaction ratings lag behind many of its competitors, scoring well below other major carriers, including State Farm, Travelers, Allstate and GEICO on the J.D. Power 2018 U.S. Auto Claims Satisfaction Study. But with a wide network of agents, competitive rates, a range of discounts and tools like online bill paying and claims filing, Safeco is a solid choice for many drivers. Which states is Safeco car insurance available in? Safeco car insurance is available in 46 states. It’s not available in Hawaii, Delaware, New Jersey, Rhode Island or the District of Columbia. As a large carrier backed by parent company Liberty Mutual, Safeco offers coverage options that put it in step with its competitors. Most drivers will be able to find all the basic coverage they need through Safeco, along with some standout offerings that you might not be able to find at other places, like pet coverage and reimbursement for up to $10,000 on any first aid provided to others after an accident, standard in every Safeco auto policy. Liability protection - Basic coverage that’s required in most states, liability protection helps cover you financially if you cause injuries to someone else or damage to their vehicle or other property. Collision coverage - This covers damage to your own vehicle caused by an accident. Comprehensive coverage - Covers you financially for damage to your vehicle not caused by a collision, like damage from hail, flooding, fire, vandalism, or theft. Personal injury protection - This covers medical expenses as well as lost wages and other expenses if you and your passengers are injured in an accident. Medical payments coverage - Also called “Med Pay,” this helps cover medical expenses for you or your passengers after a car accident, regardless of who was at fault. Uninsured and underinsured motorists coverage - This covers costs incurred by an accident with a driver who doesn’t have insurance or whose insurance doesn’t cover the full extent of the damage to your car. Pet coverage - Covers veterinary costs or pays out a death benefit if your dog or cat is injured or killed in a collision. Ride-share coverage - Covers ride-share drivers in the gaps while they’re on the clock but before or after they have a passenger. Audio-visual and custom equipment coverage - Covers any audio-visual systems or custom equipment that weren’t installed by the factory or dealership, like a custom stereo or wheels. Emergency assistance package - This includes basic roadside assistance as well as coverage of up to $100 for expenses and up to $500 for meals, lodging, and transportation if you’re in an accident more than 25 miles from your home. Electronic key and lock replacement - Pays to replace electronic car keys if they’re lost or stolen, and also replaces the locks, with no deductible. Accident forgiveness - All Safeco policy holders can qualify for one-time accident forgiveness after a certain amount of time has passed with no accidents or driving violations. Car insurance costs can be difficult to estimate because they’re so variable. The cost of your auto policy will depend on everything from your ZIP code to your driving history to your credit score, so it’s difficult to say how much a Safeco policy will cost an average driver. That said, let’s take a look at a sample auto insurance policy from Safeco for a driver in a Midwestern state with two vehicles: A two-year-old Kia Soul and a seven-year-old Volkswagen Jetta. The total annual premium for the policy was $1,138. In that same state, the average annual auto insurance premium for a one-car policy was $755.03. Like most of its competitors, Safeco has a range of discounts available to drivers, including discounts for bundling home and auto insurance, discounts for insuring multiple cars on the same policy, and discounts for certain features, like anti-lock braking systems or anti-theft devices. Safeco also offers discounts for safe driving and for taking an accident prevention course. Safeco has an online quote process, although when we tried to get a quote, the website was unable to generate one and directed us to call an agent instead. But if the website works the way it’s supposed to, Safeco promises an “instant quote” in a manner of minutes. Of course you can also get a quote by calling an agent. Safeco allows you to file an auto claim online or over the phone. It also helps you track your claim online or through your assigned representative. The Safeco mobile app, while it doesn’t technically support claim filing, allows you to report an accident, send photos from the scene, and record contact information for witnesses. But it’s important to note, again, that Safeco scored lower than average (and lower than some of its competitors) on J.D. Power’s most recent claims satisfaction study. And online complaints from Safeco customers mentioned delays in hearing back from adjusters. Policygenius’ editorial content is not written by an insurance agent. It’s intended for informational purposes and should not be considered legal or financial advice. The review on this page is only for the carrier’s car insurance products. 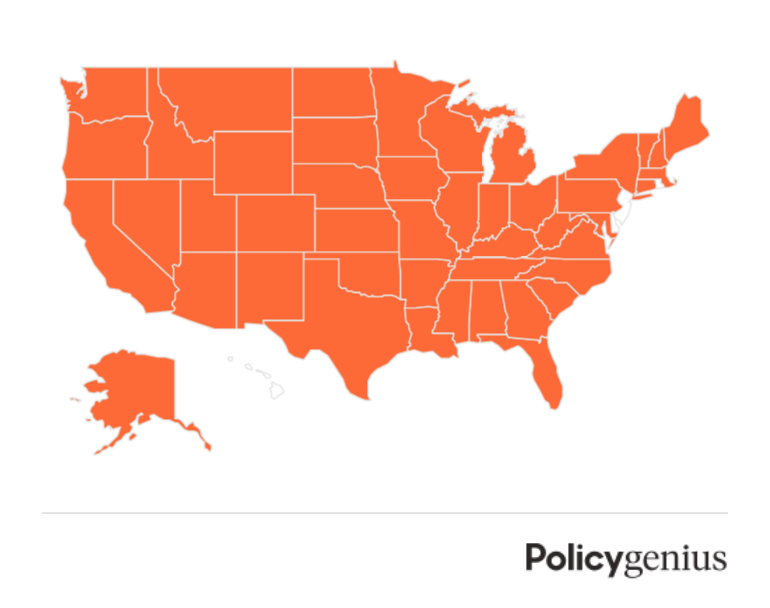 Not all carriers are currently available through Policygenius. Speak to one of our licensed experts for more information on carrier availability.